Our team of Queenstown video and travel guide experts is constantly on the lookout for the latest happenings and new adventures. From events and concerts, restaurants and hotels, adventure activities and local culture & traditions. Through engaging video and multimedia contents, we bring the magic of Queenstown to a global audience with the ambition to inform and inspire so that you are ready to make the right choices when travelling to Queenstown. 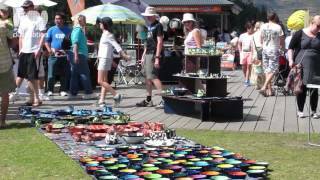 Browse through our Queenstown video gallery below and join our experience. 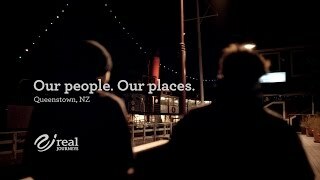 A collection of our moments from Queentown to give you inspiration for your trip to the 'adventure capital of New Zealand'. Our local experts have got together and picked their favourite things to do in Queenstown. Our Top 10 Queenstown List will give you inspiration for your next trip. Sitting alongside Lake Wakatipu, Queenstown offers jaw dropping scenery and adventure in equal measures. Our guide gives you a preview what to expect from this all year round destination. 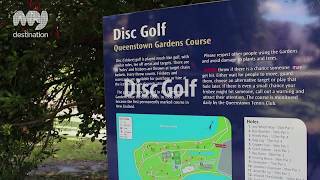 Our 'Top 10 Things To For Free In Queenstown' video is our picks to help you enjoy yourself without impacting the budget. 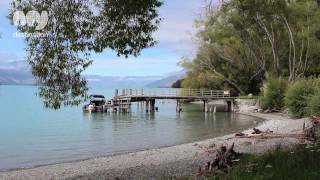 St Omer Park is a picturesque landscaped park that runs parallel with Lake Wakatipu. With glorious views of the Lake and the Remarkables mountains, the park is a popular spot for walks and picnics. 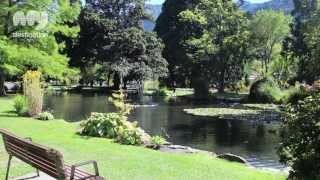 The Queenstown Gardens are just a few minutes walk from the town centre and offer a beautiful and tranquil oasis from the hustle and bustle of Queenstown. 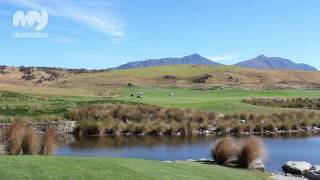 20 minutes from the centre of Queenstown, The Kelvin Heights Peninsula Track loops around a world-class golf course with incredible views of Lake Wakatipu and the mountains.. 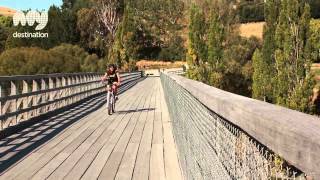 Situated 10 kilometres from Queenstown (off highway 6), the Old Lower Shotover Bridge was built in 1871 and offers walkers and cyclists, eye-catching 360 panoramic views of the Shotover River. Just 26 kilometres from Glenorchy, Kinloch is a good place to soak up the Otago scenery and enjoy some time in the outdoors. It's also an ideal spot the start one of New Zealand's great walks. 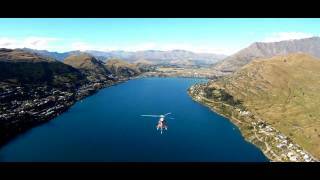 The Helicopter Line is New Zealand's premier commercial and leisure helicopter operator, offering amazing scenic flights over some of the world's most breathtaking scenery. 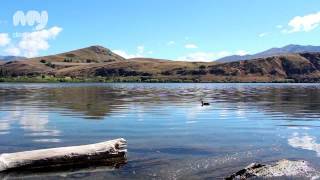 Lake Hayes is a beautiful lake that's just 15 minutes drive from downtown Queenstown. The lake attracts walkers, runners, and cyclists who are all drawn to the natural beauty of the area. 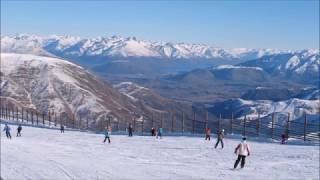 Cardrona Alpine Resort is an hour's drive from Queenstown and just over 30 minutes from Wanaka. 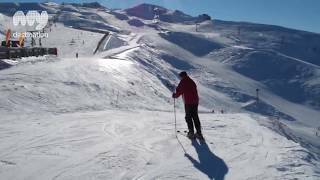 Our guide will give you a good idea what to expect from this stunning ski resort. 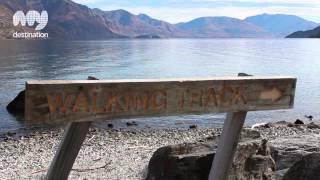 We've captured the stunning trip from Lake Te Anau to Milford Sound in the Fiordland region. 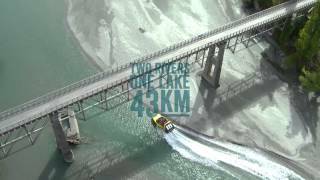 It's a popular trip from Queenstown, by car, coach or scenic flight. 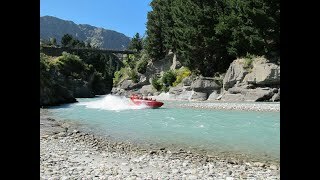 The Shotover Jet invites thrill seekers to try 'The World's Most Exciting Jet Boating Ride' - a high-speed jet boat ride through Shotover River Canyons. 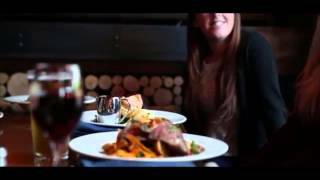 Flame is a funky and buzzing steakhouse overlooking the lake. 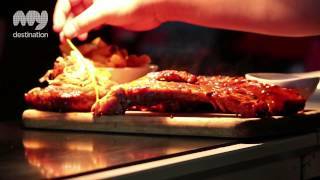 Geared towards carnivores, it's a perfect place to hang out and relax. 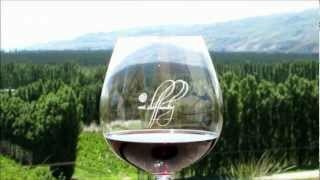 One of our favourite wineries. Stop by Mt Difficulty, one of Central Otago's major vineyards for a tasting, lunch and to enjoy the extraordinary view. 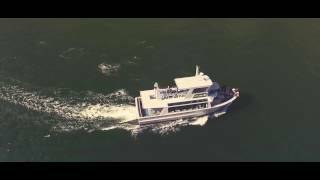 The TSS Earnslaw is an iconic steamship that offers visitors a scenic cruise across Lake Wakatipu to Walter Peak High Country Farm. Located in the heart of Queenstown, Thrill Zone is an adrenaline and fun packed experience with a huge selection of indoor adventures to experience. 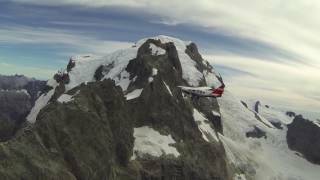 Specialised scenic flights over the Milford Sound. 20 years experience, with hi-spec aircrafts including panoramic window seating and in-flight commentary. 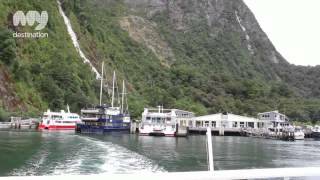 Unforgettable cruises across Milford Sound with friendly crew and superior on board facilities. Trips last 2 hours, with added coach/flight options available. 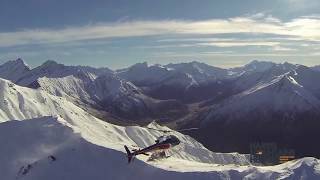 Heli-skiing for experienced skiers and snowboarders, around Queenstown, Wanaka and Mount Cook/Aoraki. Exclusive access to hundreds of ski runs. Not suitable for beginners. You can soar like a bird over the stunning Southern Lakes region with Coronet Peak Tandems. 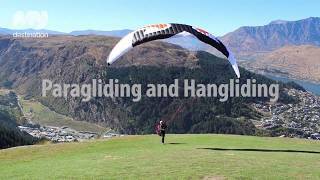 Offering both tandem paragliding and hang gliding, this is definitely a memorable way to see the area. 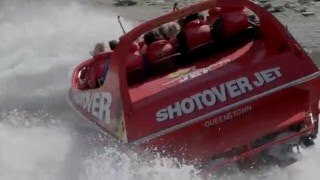 Thrills and spills on Lake Wakatipu and the rivers of Queenstown. Eight boats can seat up to 120 people per trip. Locally owned and operated with over 50 years experience KJet operate hour-long adventures, every hour. Unique puzzle theme park set in seven acres of land, just two kilometres from Lake Wanaka. Attractions include illusion rooms, a giant maze, tilted house, gift shop & cafe. Great family day out. 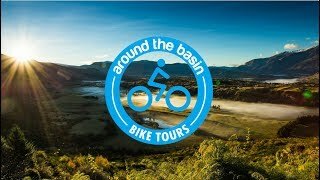 The team at Around The Basin are the local experts for off-road biking in the Queenstown area. From half day rides to full day winery adventures and mountain bike hire, Around The Basin offers it all. 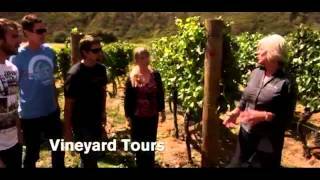 Specialist sightseeing tours run by Queenstown's famous Blue Bubble Taxi company. Highly-knowledgeable drivers, who will take you and your group to some of Queenstown's most famous sights and adventure activities. 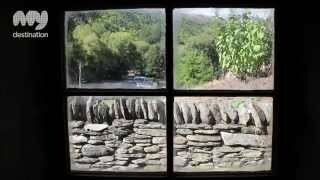 Fascinating restoration of the old Chinese settlement in this former gold mining town. It's a historic reminder of the 'forgotten' community, and the contribution they made to Arrowtown's fortunes. 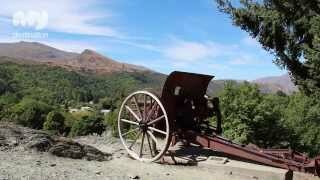 Just 20 minutes drive from Queenstown, Arrowtown is an old gold mining town, a real slice of New Zealand history. Resembling a Wild West frontier town, Arrowtown is a popular tourist destination. 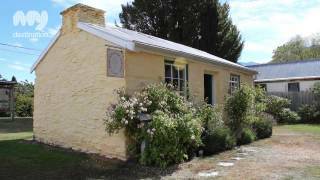 We've captured a historic part of Arrowtown. Learn more about Catholic nun Mary MacKillop and the work she did in the area. The premier vineyard in the Gibbston Valley wine region, with cellar door and fine dining restaurant, plus unique tours into the wine cave - a fantastic whole day out. The owners of Eco Wanaka Adventures bring 20 years of experience in outdoor and adventure pursuits to their tours of the Lake Wanaka area, ensuring visitors get the most out of their time in the area. Earnslaw Park's central location next to Steamer Wharf right in front of Lake Wakatipu has shaped its status as a hub of Queenstown.